JAKARTA - PT. Bank Rakyat Indonesia (Persero) Tbk (BRI), re-innovate to encourage financial inclusion in 3T (Disadvantaged, Outermost and Leading) areas. This time, Bank BRI operates a BRIsat network to be utilized by BRILink Agent in an area not yet covered by cellular provider signals in Arfak Mountains District, West Papua, Jayapura. 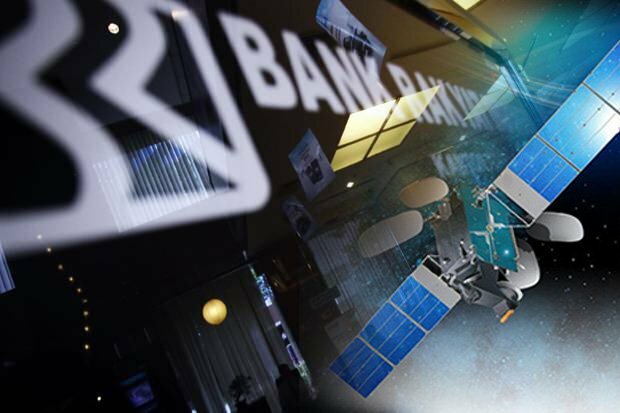 Director of BRIink Digital Banking and Technology, Indra Utoyo, said that BRILink operational agency operates with BRIsat network in order to facilitate access to finance of the people in the Arfak Mountains who had to travel for 4 hours to the nearest banking unit in Trafi Sub-district. This step also supports the government policy in the implementation of fuel price 1 that has been proclaimed by the President of Indonesia Joko Widodo some time ago. "Bank BRI is committed to continuously bringing financial access closer to 3T areas," Indra said at the weekend. He explained, the base of fuel in the Arfak Mountains previously had to spend a large enough to make transactions via bank transfer payments in Trafi. With the operation of BRILink Agents in the Arfak Mountains, the managers of fuel stations and the public now do not need to take a heavy field (offroad) using a double gardan or 4WD to Trafi. Transportation costs incurred to Trafi was too large to spend Rp500.000, - one way or Rp1.000.000, - for commute. This breakthrough complements BRI banking operations through BRILink Agencies that have operated in Jayapura. As of 31 January 2018, BRI Bank has a total of 2,656 BRILink Agencies spread across the island of Papua. Among them are BRI Biak Branches which have 72 BRILink Agents, BRIink Branch Office Jayapura 213 Agencies BRILink, Nabire 195, Timika 299, Abepura 362, Bintuni 65, Fak-Fak 115, Sentani 321, Manokwari 248, Merauke 198, Serui 85, Sorong 366, and Kanca BRI Wamena with 177 Agent BRILink. Previously, BRILink Agent access through BRIsat satellite network has been operating in South Sorong Regency, and Teluk Wondama Regency. As in Manokwari District, after the Arfak mountains, the utilization of BRILink Agent through BRIsat will reach Puncak Regency, and Memberamo Raya District. On the other hand, Bank BRI also supports synergy efforts in increasing the level of financial inclusion of Indonesian society by synergizing with Bank BPD throughout Indonesia. Business synergy by BRI and BPD can improve the competitiveness of BPD so as to become a locomotive of development at the regional level. President Director of Bank BRI Suprajarto said that the cooperation between BRI and BPD from the operational side can be in the form of cooperation in banking products that are ready to support BPD's operational smoothness, including the provision of Cash Management System (CMS), e-Channel network of 329,654 units and spread Office Network as many as 10,646 units of work. In asset management, he added, BPD can collaborate with BRI as one of the Primary Dealers to fulfill the needs of State Securities transactions. "In addition, for BPD which has become a foreign exchange bank BRI and BPD can collaborate in the management of foreign exchange transactions and International Business by utilizing a network of correspondent banks owned by BRI," he explained. BRI is also ready to assist BPD to utilize the management of pension fund preparation (Dapen) employees through the Financial Institution Pension Fund (DPLK) and assist BPD to launch Credit Card and Electronic Money through co-branding cooperation. He hopes that this cooperation can encourage BPD to develop business and banking services potential in a more competitive direction and in the end can create deepening financial market in Indonesia (financial market depening). At present, the total volume of Repo Bank BRI transactions and all banks throughout 2017 is Rp55.56 Trillion. BRI has signed GMRA with 59 market players whereby 26 banks are BPDs that have established active and synergic cooperation in the fulfillment of liquidity through Repo / Reverse Repo transactions, Interbank Money Market (PUAB), as well as through Inter-Bank Passiva Account and Inter-bank Account Bank Assets. Meanwhile, the total volume of Repo / Reverse Repo transactions between Bank BRI and BPD Seluruh Indonesia totaled Rp8.56 trillion throughout 2017. "Bank BRI as one of the largest state-owned banks in Indonesia, sees the need for strong synergy between Bank BRI and BPD as an effort to improve regional economic development, "he concluded.